'The V&A is an invaluable resource for costume designers. I was fortunate to be able to look at some of the clothes in the Heather Firbank collection when I was researching for the first series of Downton Abbey - these were fine examples and particularly relevant.' Susannah Buxton, EMMY award-winning costume designer for Downton Abbey (Series 1 & 2) Over 80 years ago, Heather Firbank packed away her extensive collection of fine clothes, bought from London's very best dressmakers and tailors. These treasures lay undiscovered for the next 30 years, until after her death, they were given to the V&A, laying the foundations for the Museum's world-famous collection. Firbank was an enthusiastic shopper and bought her clothes from the world's leading couture houses, including Lucile, Redfern and Mascotte, as well as private dressmakers and department stores. Her collection forms an invaluable record of fashionable Edwardian taste over a period of some 15 years. Beautifully illustrated with new photography of finely crafted evening gowns, tailored suits and glamorous hats, the book also features contemporary photographs and pages from Heather's own albums of fashion cuttings. 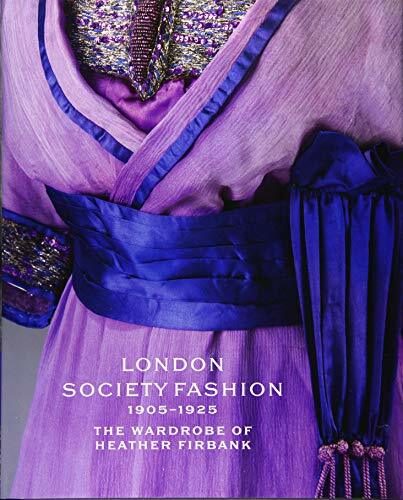 It vividly maps out the London couture scene of Edwardian Britain, and charts changes in fashion through the tumultuous first decades of the twentieth century. Through the story of Heather's own life, both joyous and troubled, this book celebrates the central role of clothing in creating a single woman's identity.